In 2016 the focus of the Newman's Own Foundation Australian charity funding round was Children. Applications were accepted from organisations who enhancing the quality of life for children with life-limiting medical conditions, and/or for whom the experience of childhood has been disrupted by circumstances beyond their control. 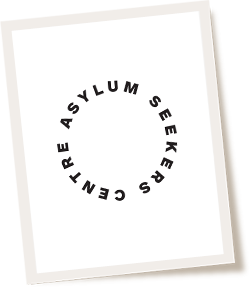 ASC is the largest, community-funded organisation in NSW working with people seeking asylum or protection while living in the Australian community. 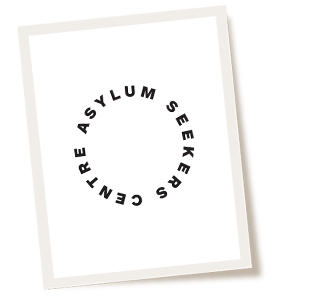 The Centre provides practical and social support for families and individuals, including emergency accommodation, legal and financial support, social workers, case management and advocacy with other agencies, health care, employment assistance, a food bank and daily meals. The grant will be used to employ a specialist children social worker for the 349 children aged 0-17 years currently being assisted by the Centre. The social worker will lead and coordinate the ASC’s support for these children such as coordinate relationships with other staff and external organisations to speed up children’s access to quality education, childcare, specialist health care (e.g. disability aids) and family programs such as counselling. 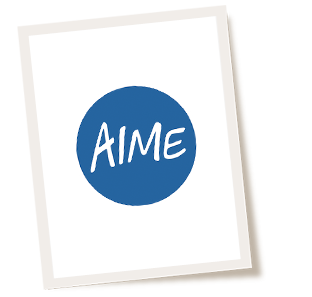 Australian Indigenous Mentoring Experience (AIME) is an organisation that uses mentoring as a tool to relieve disadvantage. This program is proven to close the gap in education outcomes and is a model that can be replicated around the world. In 2016, AIME is working with 6,000 Aboriginal and Torres Strait Islander kids in Australia and these students are progressing through school on par or higher than other Australian students. In 2015, the completion rate for AIME students was 7% above that of their non-Indigenous peers. The grant will support a specialised staff training initiative for AIME to increase and develop the training and resources currently available. This will allow then to continue to offer high quality, effective in-school support to an increasing number of children who are often dealing with disruption, instability, displacement and the adverse impact that living in out-of-home care can have on their behaviour, social interactions and academic performance. Australian Schools Plus (Schools Plus) is a national charity improving the education outcomes for students facing disadvantage by increasing philanthropic support for their schools. The grant will support a project at Majella Catholic Primary School in Perth, Western Australia. Nearly 80 per cent of Majella’s students are from a non-English speaking background, with a high number of refugees from South Sudan, Burma and Syria. Its project will equip teachers with improved skills and confidence and ensure a uniform approach to teaching across the whole school. Improving teaching quality is one of the most effective ways of improving student results. Amaze is the peak body organisation for people on the Autism Spectrum and their families in Victoria and its mission is to create inclusive communities that give a voice and opportunities to people on the autism spectrum. They provide information, resources and services that are grounded in best evidence and practice. The grant will support their Sensory-Friendly Storytime pilot program which aims to enable young children with autism and sensory issues to participate in a fun and educational story time session that has been tailored to their specific needs and sensitivities. The program will be held in community libraries and designed for children aged from 2 – 5 years along with their parents and carers. The program includes the development of a practical, evidence based framework, training and resources for librarians and recruiting interested families. Cystic Fibrosis Victoria (CFV) is the peak community not-for-profit organisation supporting individuals and families living with CF in Victoria. CFV’s mission is to promote research, increase awareness of CF and provide education, support and advocacy to Victoria’s CF community. The grant will support their Study Buddy Program which assists more than 375 elementary, middle and high school-aged children living with CF in Victoria. Children with CF experience high rates of absenteeism due to complex health needs and frequent hospitalisations. The Study Buddy program will intervene in this downward spiral of withdrawal and seek to improve the academic outcomes for at risk CF students. 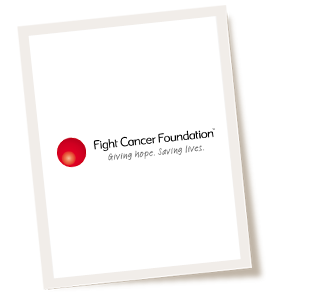 Fight Cancer Foundation is a national not-for-profit organisation dedicated to providing care, treatment and support for cancer patients and their families and funding vital research into cancer treatment and cures. The grant will support an extension of their Back on Track education support program, making it available to all South Australian and Northern Territorian children undergoing cancer treatment (inpatient and outpatient), as well as continue to support the Children’s Hospital School in Adelaide to provide best-practice health-setting education delivery model. Back on Track enables learners to maintain their education and connection with their school and school friends during cancer treatment. The Humour Foundation promotes and delivers the positive health benefits of humour to the Australian community. Their two core programs include Clown Doctors and Elder Clowns. The grant will be used to support the Clown Doctors program in Alice Springs Hospital through the delivery of weekly Clown Doctor visits for 12 months, throughout 2017. It will include the training and ongoing professional development of two local professional performers with the knowledge, sensitivity and high level skills required to work with sick, injured and seriously ill children in hospital. Using humour and play Clown Doctors bring smiles and laughter to children’s bedsides across all wards through improvised performances using props, mementos and skills in music, mime, puppetry, magic, storytelling, song and dance. 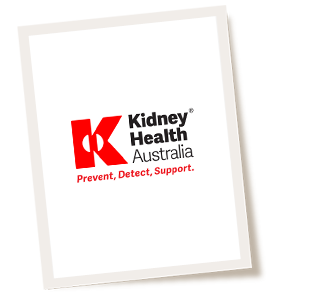 Kidney Health Australia is the national peak body representing the needs of Australians affected by all forms of kidney disease and runs programs and services in the areas of Education, Research, Awareness and Support for children, young people and adults. KHA is the only organisation in Australia offering comprehensive education on kidney disease to health professionals working in primary care. The grant will fund the Victorian & Tasmanian Kidney Kids Capers initiative, a two-day program which is held in Melbourne biannually. It is a recreational and peer support program for school-aged children and young people (7-17 years) with chronic kidney disease. Siblings and parents are invited to the second day of each weekend which gives them a chance to meet and connect with other parents and siblings. 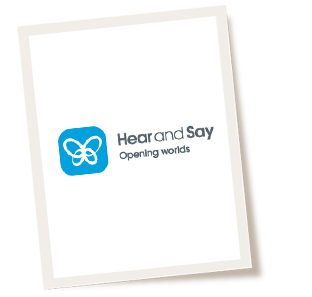 Hear and Say helps families to achieve optimal outcomes for children with a hearing loss by teaching them to listen and speak. This is achieved using a service delivery model which combines modern hearing technology such as the cochlear implant with specialised Listening and Spoken Language Therapy. The grant will help fund their Hear and Say Telepractice Program which is designed for children with hearing impairments living in remote/rural areas who experience barriers to access the early intervention therapy and support they need to develop listening, speech and language on par with their hearing peers. The program provides regular Listening and Spoken Language Therapy via PC-based videoconferencing to these children and their families in their own homes. This program will be enhanced by the delivery of some face to face therapy, assessments, audiology tests and fine tuning at the Telepractice Intensive Camps which will be held in Brisbane and Townsville over four days during April 2017 and are being supported by Newman’s Own. The grant will fund the cost of places in the program for 30 young people between the ages of 14 and 18. These at risk young men and women are taken out of their environment and helped to rebuild their confidence and people skills through positive experience and achievement. Activities include daily cross country hikes, abseiling, team building activities, bush survival skills, navigation and first aid skills, and an understanding of Aboriginal culture and the history of the Flinders Ranges. Mercy Health Foundation aims to support Mercy Health by raising funds focused on research and development, the health of women, families, newborns, the aged and those suffering from mental illness. This grant will be used to fund a children’s wonderland garden area for babies with life-limiting conditions, as part of the neonatal services unit at the Mercy Hospital for Women. The garden will provide a beautiful, tranquil, private outdoor space for families of palliative babies to spend time in nature before, during or after the agreed withdrawal of medical treatment. It will also be shared by patients and family members from Austin Hospital, a major hospital located alongside Mercy Hospital for Women. 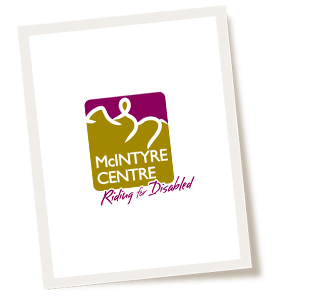 The McIntyre Centre is a community organisation which provides equestrian therapy programs to children and young adults with a disability. It is located in the western suburbs of Brisbane, where founders June & Peter McIntyre pioneered Riding for Disabled in Australia. They centre provides services to 11 special schools and over 390 young people from the Greater Brisbane and Ipswich regions each year. The grant will support their Special School Riding Program which offers services to children aged from 7-18 years with complex physical and intellectual disabilities including autism, down syndrome and cerebral palsy. The program includes individually-tailored sessions that provide fun but challenging physical, literacy, numeracy, cognitive and communication learning experiences. Miracle Babies is Australia’s leading organisation supporting premature and sick newborn babies, their families and the hospitals that care for them. Every year in Australia around 48,000 newborn babies require the help of a Neonatal Intensive Care Unit (NICU) or a Special Care Nursery (SCN). The grant will be used to fund their NutureGroups initiative which provides play and support groups for families who have experienced the birth of a premature or sick newborn. The initiative aims to enhance the quality of life for these babies by being geared to meet their specific needs. Health professionals in maternal and child health fields are also on hand to provide information, assistance and expert advice on the children’s development. Parents and carers are able to exchange ideas on parenting, share their stories, build support networks and ease any feelings of isolation. Muscular Dystrophy Queensland supports over 500 families living with this progressive degenerative condition by providing practical support and services to families that are often burdened with the high costs of living with a disability. The grant will be used for their Equipment Loan Program specifically for eight people needing a hi-lo adjustable electric bed with individual modifications to meet each person’s needs. The beds not only make people with muscular dystrophy more comfortable for the long hours spent in bed, but more importantly, they enable them to maintain some level of independence, using the controls to adjust their position in bed and when transferring to and from an electric wheelchair. 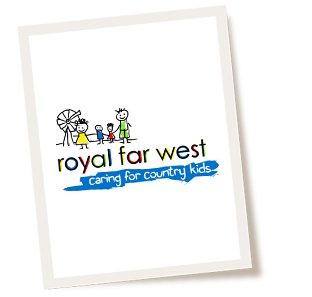 Royal Far West (RFW) has a dedicated history of caring for country children through the delivery of critical services that address their health and welfare needs. RFW’s goal is for all children living in rural and remote Australia to have access to high quality services and support, that reduce their developmental vulnerability, increase their health, resilience and general wellbeing, and help them to lead happy and productive lives. The grant will be used to help fund a ‘whole of school’ Tele-Speech assessment and therapy program for pre and primary schools in the Nambucca and Bellingen Shires, where need is well above national averages and services are unavailable. The program will work towards improving speech and language for up to 76 children aged 4-8, including building the capacity of schools to continue to support these children. 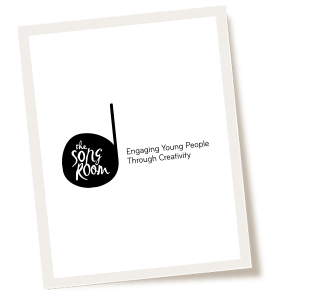 The Song Room is a national not-for-profit organisation that brightens the futures of Australia’s most disadvantaged children with tailored, high-quality music and arts programs, delivered in partnership with schools across the country. Their vision is that all Australian children have the opportunity to participate in music and the arts to enhance their education, personal development and community involvement. The grant will support their ‘Tuned in for Life’ program for children aged between 6-18 years who are faced with mental, social and emotional challenges affecting their participation in mainstream school. The Song Room will work with the Nexus Child and Adolescent Mental Health Inpatient Unit and the Fowler Road Special School to deliver a tailored 40 week music and creative arts program designed to improve social-emotional well-being (SEWB) outcomes for students such as reduced depression, anxiety and improved self-esteem and school engagement. The Wirrpanda Foundation aims to improve the quality of life for Aboriginal and Torres Strait Islander people across the four pillars of education, health, employment and justice. The Foundation prioritises the employment of local Aboriginal and Torres Strait Islander role models who are empowered to build capacity in their own communities. The grant will support the new Wirra Schools program in the remote West Australian town of Wiluna, aiming to increase school attendance and retention of Aboriginal children at Wiluna Remote Community School. A full-time Aboriginal Coordinator and full-time Mentor will help transport kids to school, work closely with parents and teachers to keep kids at school and work to remove any barriers individual children may face in getting to school. The program will also employ casual local Aboriginal mentors and provide high profile Aboriginal mentors to conduct a week-long aspirational visit each school term to the community. Variety – the Children’s Charity of WA is part of a national not-for-profit organisation empowering Western Australian children who are sick, disadvantaged or who have special needs, to live, laugh and learn. By supporting children and families through equipment, programs and experiences, Variety helps children in need to overcome the obstacles they face and helps kids, simply be kids. The grant will support their Motor Mouth Camps which offers intensive therapy and training for children who cannot speak and use augmentative and alternative communication aids (AAC), their parents, siblings and carers. The aim of the Motor Mouth Camps is to empower children and families to become more confident communicators, and in turn, create an inclusive AAC community who can provide inspiration and support to each other. This is the only program of its kind in WA.